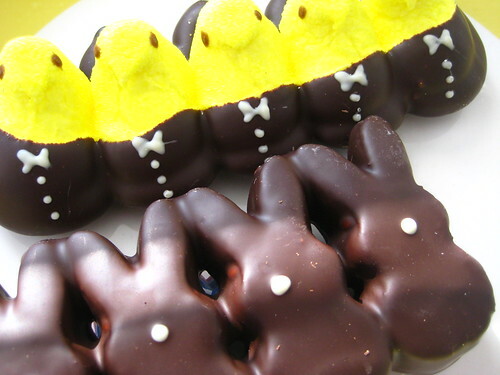 Easter's in a few days and that means it's time to bring on the chocolate bunnies and Fried Cadbury Eggs. 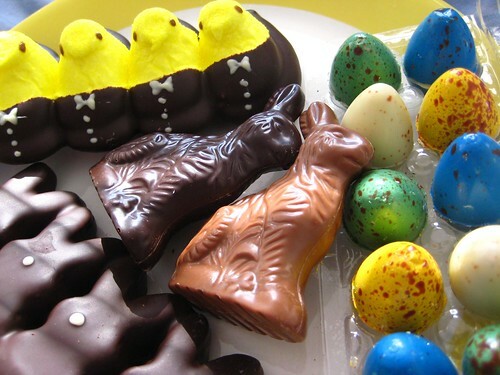 Over the past week, I've been keeping an eye out for Easter goodies and here's what I found. 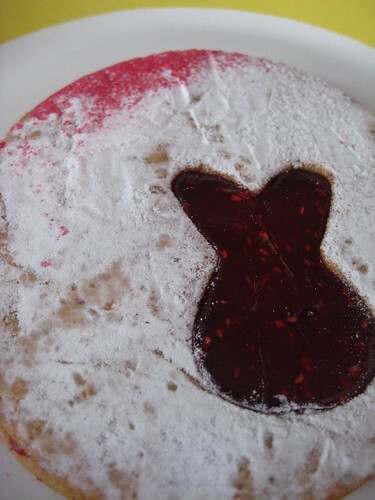 The most adorable and probably most delicious cookies can be found at Bouchon Bakery where the linzer tarts have acquired little cut-outs. Collective awwwwwww. 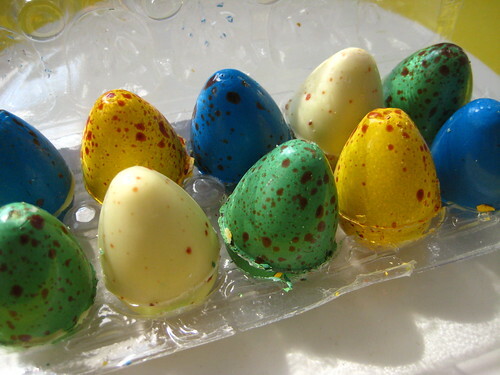 I love peanut butter, I love speckled eggs, I love Jacques Torres' peanut butter eggs. I will not share these with anyone, not my family, not my friends, no one. 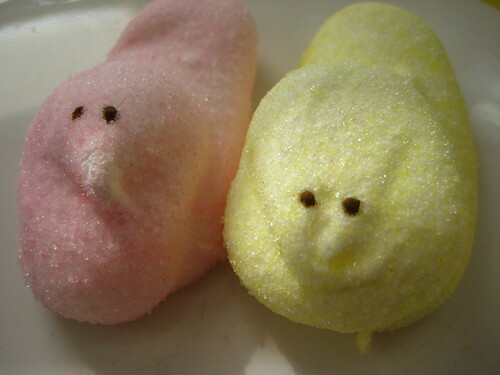 Finding homemade peeps has been a harder endeavor. Jacques Torres' tuxedo and chocolate covered ones are definite delicious stand-bys. But there are also some to be had down in Chelsea at Three Tarts. 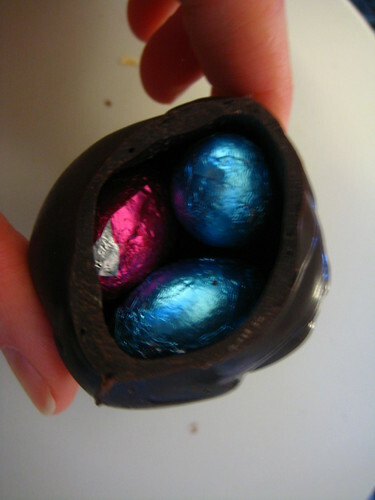 Three Tarts is where you can also get chocolate bunnies made from vintage molds, made one at a time with loving care. 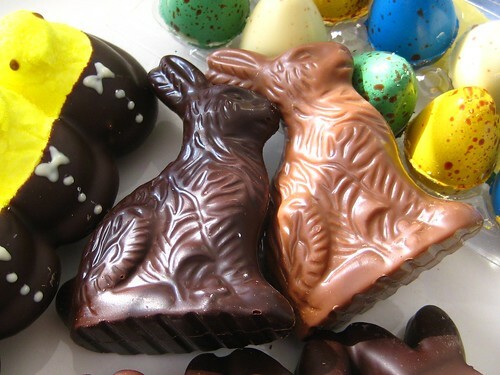 Not that there aren't lots of homemade, better than chain store bunnies to be had. Jacques Torres' has loads of chocolate animals in different sizes and chocolates. 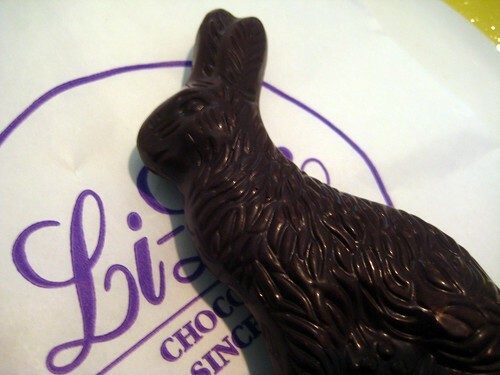 Li-Lac is selling solid chocolate bunnies. 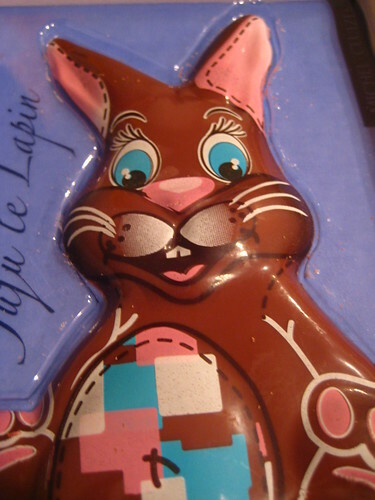 Of the three European chocolate stores I hit up, the newcomer Michel Cluizel won the vote for best chocolate, yet creepiest chocolate bunny face. Yes, it's painted on, and yes, I ate it all at once out of fear it would come to life in the middle of the night. 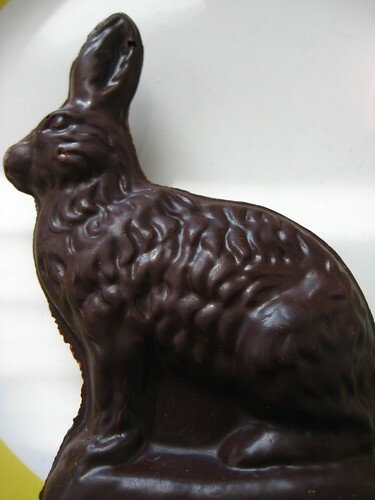 Be sure to peep at the Serious Eats Chocolate Bunny Taste Test. 584 Fifth Avenue, btn. 47th and 48th St.